...that is an excellent modern style sherry maturation without any flaw or off-note. It offers delicious chocolatey aromas in a balanced profile. A very fine dram, indeed. The colour is chestnutoloroso sherry and the nose offers a flawless modern oloroso sherry profile that is not too bold. Beside the usual sherry aromas of dried fruits (raisins), fruits (plums, oranges) and wine there are some shy herbs and spices too. After some breathing waxy and oily notes join in to signal the malt is still alive. All is nicely balanced and without any off-note. The taste is sweet (sugars, fruits) and sour (wine flavours, waxes) in a nice combo. Later delicious chocolatey notes pop up (both milk and dark) followed by spices and some bitter herbal-tobacco flavours. Again all is very balanced and flawless, I really like this taste. The initial mouthfeel is warming and coating without distracting moments. The finish is of medium length and strengthens the chocolatey notes. Again there is no distracting bitter or astringent moment. 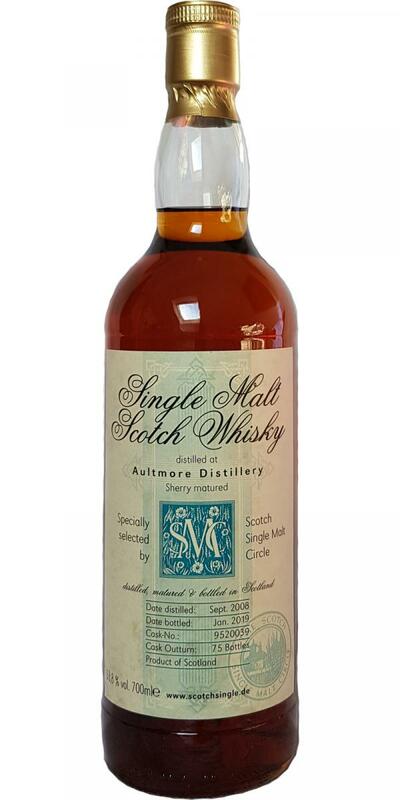 Water releases more sour-winey aromas in the nose but it rather flattens the taste - I like the neat dram best.